After the jam-packed month of December, with its huge family-friendly blockbusters and awards season Oscar bait, we have arrived in the month of January. Formerly a dumping ground for mediocre films, the month has taken on a new identity in the past few years as a testing ground for unique genre films (think ‘Cloverfield’) and a solid place to release a horror movie, which seems to do quite well right around New Year’s for whatever reason. 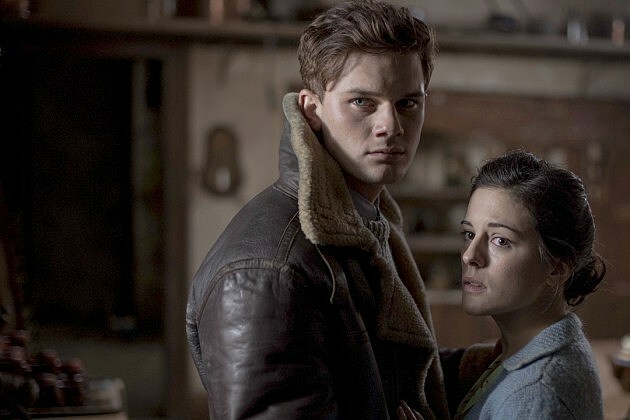 This year, we have ‘The Woman in Black 2: Angel of Death,’ which had a fairly solid opening. Not solid enough to topple the Christmas Week champions, but no one is complaining too much. Even without the star power of Daniel Radcliffe, ‘The Woman in Black 2: Angel of Death’ opened with $15 million, which isn’t bad for a low budget horror movie. It’ll probably take a sharp drop next week, but even with a final gross of around $30 million or so, it’ll be in the black enough. Movies like this have longer lives at home, anyway. Let’s take a look at ‘The Hobbit: The Battle of the Five Armies,’ which has now spent three weeks at the top of the box office. With a weekend take of $21 million and a current gross of $220 million, Peter Jackson’s final Middle-Earth movie is fast approaching the gross of ‘The Hobbit: The Desolation of Smaug,’ the lowest-grossing entry in the series. Only time will tell if this one will have the legs to hit $300 million, but considering the wasteland that is January, it definitely has a shot. The second and third slots also belonged to holdovers from last weekend. ‘Into the Woods’ snuck into second place with $19 million, bringing its current gross to $91 million. ‘Unbroken’ trailed behind it ever-so-slightly, grossing $18 million for an $87 million total. The former, being a Disney-produced musical extravaganza with a whole bunch of movie stars, is doing the exact kind of business that everyone expected. But the latter? No one saw Angelina Jolie’s intense biopic doing serious blockbuster business. It’s the real winner here. Speaking of real winners, ‘The Imitation Game’ officially went into high gear this weekend, grossing $8 million for a $30 million total. The Oscar favorite may have received mixed reviews from critics, but audiences seem to like it and the Weinstein Company is ruthlessly marketing it. It may be the popular favorite at this year’s Academy Awards. Similarly, ‘Wild’ continued to perform exceptionally well just outside of the top 10. The rest of the films in the top 10 can be listed by a few of their milestones. ‘Night at the Museum: Secret of the Tomb’ has rallied and will pass the $100 million mark next week, but it’s still looking like the lowest grossing film in the series. ‘Big Hero 6’ finally crossed the $200 million mark but it still has a few weeks of play left before Disney calls it quits. Most interestingly, ‘The Hunger Games: Mockingjay – Part 1’ is finally poised to overtake ‘Guardians of the Galaxy’ as the highest grossing 2014 release, but it still hasn’t matched the box office of its predecessors.